Europe’s innovative, diverse and ambitious businesses are driving growth and providing potential opportu-nities for us all. It is these companies that are scaling up and making a significant contribution to economic development across the countries in which they operate. But access to appropriate funding is critical to their success. LSEG and Valdis Dombrovskis, Vice-President for the Euro and Social Dialogue, also in charge of Financial Stability, Financial Services and Capital Markets Union, share a common purpose: a commitment to mobi-lising capital across Europe to allow its 23 million SMEs to connect with growth funding. LSEG is proud to support companies at every stage of the funding lifecycle. The 1000 Companies to Inspire Europe report sits comfortably alongside our unique growth markets in the UK and Italy, AIM and AIM Ita-lia, and our pioneering international business support and capital raising programme, ELITE. ELITE helps ambitious, high-quality private companies prepare and structure for the next stage of growth. It introduces company leaders to business school resources and gives them access to a community of like-minded entrepreneurs, leading advisers and investors. Launched by Borsa Italiana in Italy in 2012, it was rolled out by LSEG in the UK in 2014 and across the rest of Europe and internationally in 2015. Through ELITE, businesses receive practical knowledge on the different sources of finance, be that venture capital, private or public equity, to help them scale up. But importantly, ELITE is funding-agnostic, encour-aging companies to access the most appropriate financing for their needs. In encouraging a wider range of funding sources across Europe, ELITE is ultimately contributing to deeper capital markets across the conti-nent. Today, more than 1000 companies, advisers and investors make up the growing international ELITE com-munity. Over 600 ELITE companies in 25 countries feature, and come from more than 30 sectors, including technology, food & drink, healthcare, and manufacturing and engineering. Between them they are gener-ating €49bn in combined revenues and account for over 215,000 jobs across Europe and beyond. ELITE is constantly seeking to enhance its services for companies. Its latest innovation, ELITE Club Deal, is a private placement platform, which helps to bridge funding gaps and further streamline the capital-raising process for ELITE companies, bringing them together with professional investors and corporate advisers in a secure and efficient environment. 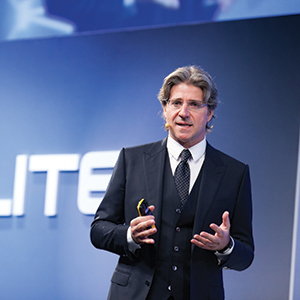 ELITE Club Deal is channelling growth capital to Europe’s businesses. Together, the 1000 Companies to Inspire Europe reports and ELITE showcase the EU’s entrepreneurial spir-it. They have an integral role to play in championing the best of Europe’s businesses and directing growth capital to the innovators, job creators and stars of tomorrow.